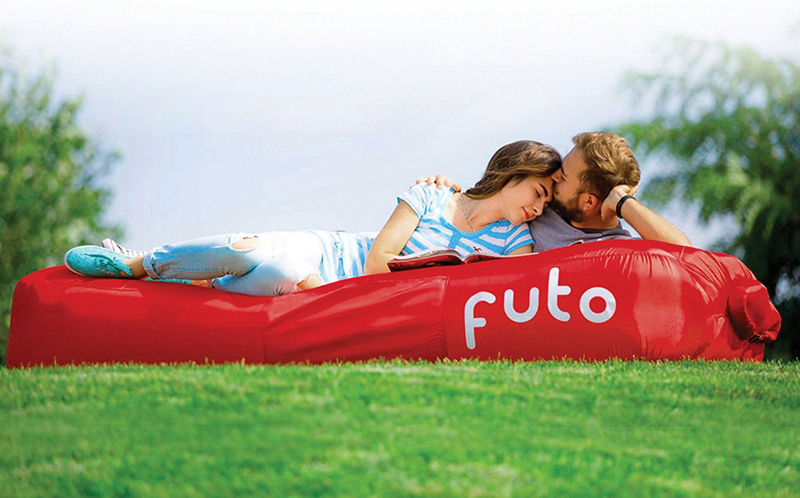 The Futo takes only about 20 seconds to inflate, thanks to its wide mouth and unidirectional air flow system. It measures 90.5″x 40″x 12″ and can support up to 650 lb. when fully inflated. 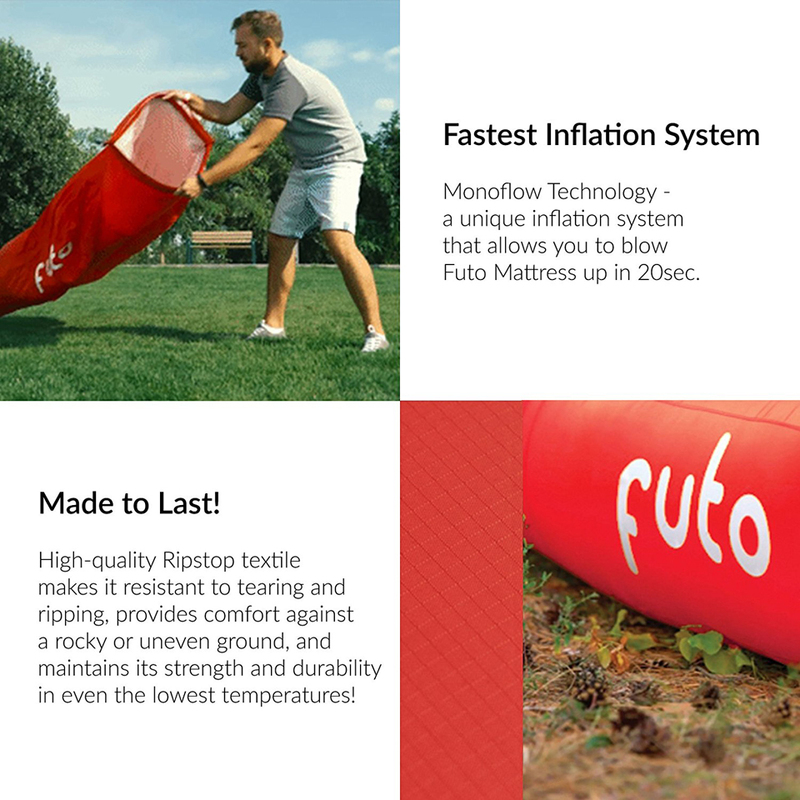 You can deflate and store it into the included storage knapsack within seconds.